Netflix has unveiled the official trailer for its first comic book titled The Magic Order, written by Mark Millar with art from Marvel superstar artist Olivier Coipel (Thor, The Avengers, The Amazing Spider-Man), available for sale in comic stores beginning June 13. Check out The Magic Order Issue 1 trailer in the video player below! We live in a world where we’ve never seen a monster and these people are the reason we sleep safely in our beds. Magic meets the mob in The Magic Order, as five families of magicians sworn to protect our world for generations must battle an enemy who’s picking them off one by one. By day they live among us as our neighbors, friends, and co-workers, but by night they are the sorcerers, magicians, and wizards that protect us from the forces of darkness… unless the darkness gets them first. The Magic Order series will be six issues long and marks the first franchise Millar has created as part of the recent acquisition of Millarworld by Netflix. Pre-order your copy at your local comic book shop today! 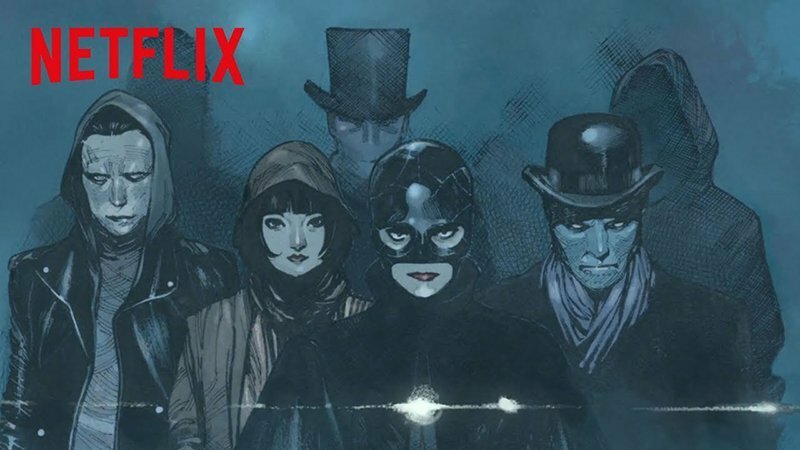 Netflix and Millar are set to produce not only brand new comics in the future (with hopes of turning them into live-action and animated properties on Netflix) but will also adapt many of the other original stories from Millarworld into films, series and kids’ shows available exclusively on Netflix. Though several have previously been optioned by other Hollywood studios, the rights to some of Millar’s properties now lie with the streaming service.